The re-engineered 2019 RAM 1500s are arriving at Melloy Dodge in Albuquerque, New Mexico’s #1 selling Dodge and RAM dealership. The newly designed grille sets the stage for the redesign, with active grille shutters to smooth the front-end aerodynamics when it’s at highway speed. Another aerodynamic addition is the front splitter that lowers the truck at speeds over 35mph. The exterior profile is more streamlined; the redesigned hood pushes air away from the wipers to improve airflow, and a small lip spoiler on the tailgate will reduce drag. 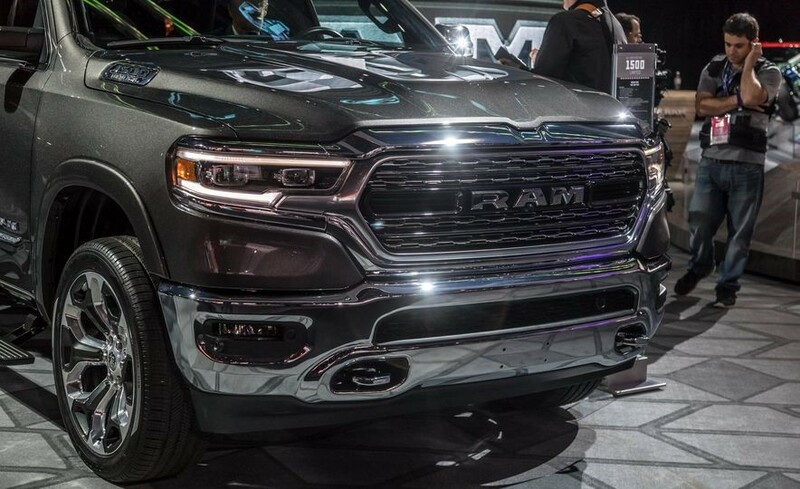 Under the hood, the 2019 RAM 1500 is powered by a 305-hp 3.6-liter V-6 (called Pentastar) or a 395-hp 5.7-liter V-8 (Hemi). Both engines connect to an eight-speed automatic transmission. The 2019 brings a hybrid version with an eTorque system, replacing the alternator with a motor/generator unit that can feed energy to a 48-volt lithium-ion battery pack. Towing and payload capacity have also been increased. 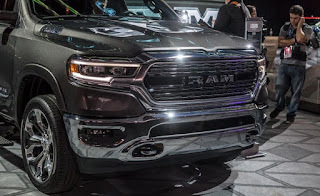 The 2019 RAM 1500 is rated to tow up to 12,750 pounds (an increase of 2,130 over previous model years) and a payload of up to 2,320 (an increase of 440 pounds). For added convenience, the RamBox bedside storage areas are available, perfect for either work tools or tailgating supplies! The lids are better integrated into the truck’s bedsides, and an AC power outlet is tucked inside. The most popular historic trim and configuration, the RAM 1500 crew cab Big Horn 4x4 with a V8 engine—tips the scales 225 pounds lighter than the previous year’s model. Even though it’s lighter weight, the truck is larger—nearly 4 inches longer and half an inch wider. To see the new RAM 1500 2019 trucks, visit our website or stop by 9621 Coors Blvd. NW in Albuquerque, New Mexico to test drive one of these new RAM 1500s.